Even though embroidery had a 30+ year head start on our screen print department that doesn’t mean we don’t put the same attention to detail into every item we print. Our growing screen print operation has more than doubled in size each year and is currently operating 6 automatic screen print presses. 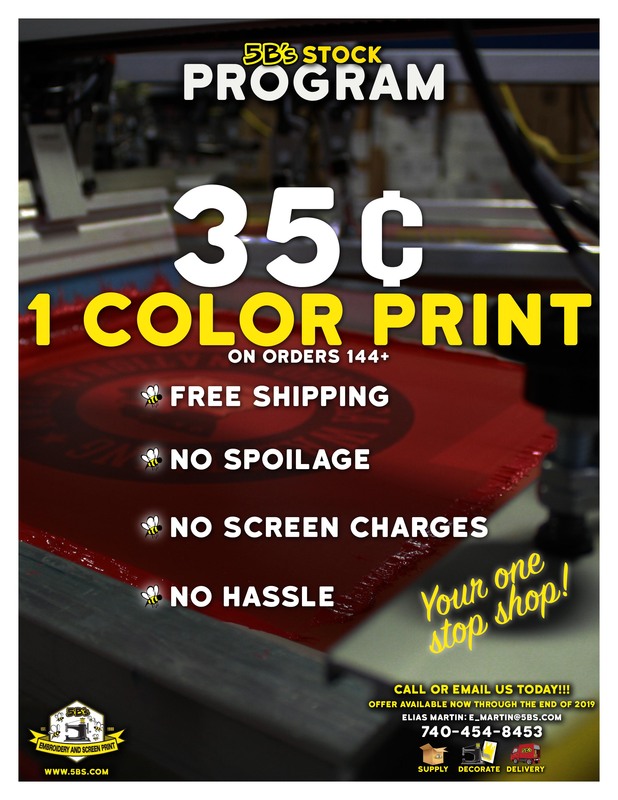 We offer spot color screen-printing along with various specialty inks and custom printing options, all the while charging NO SCREEN CHARGES or SET UP FEES! That’s right, as long as you meet or exceed or 24-piece minimum order quantity you will have NO SCREEN CHARGES! Contact us today to learn more. 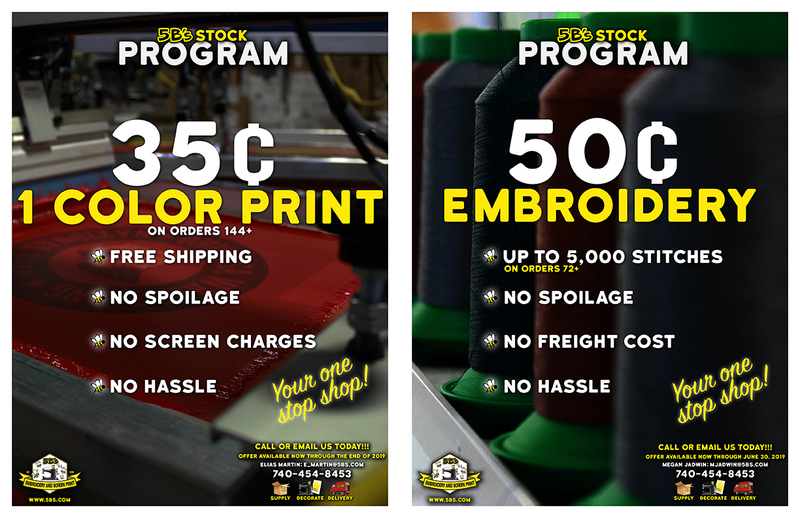 Interested in 5B’s Screen Printing Services?